Ahhh, College Football. You make the Fall that much more complete. Pumpkins, hay rides, and crisp air aside, the season wouldn't be what it is for me without tailgates, cheering, and men throwing a ball around on a field while attempting to not get sacked. 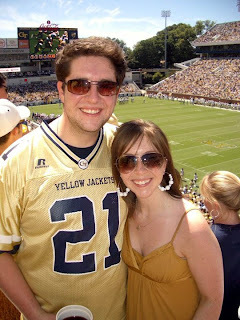 I am a die-hard Georgia Tech fan, and also root for Notre Dame, Clemson, and Auburn. 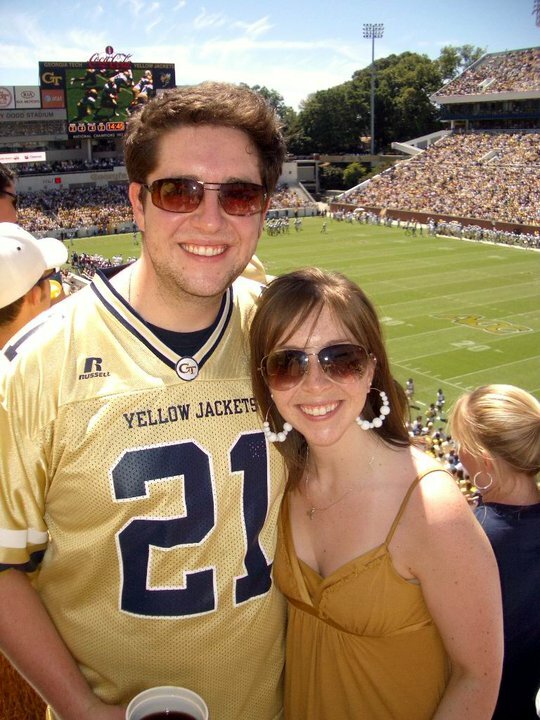 However, I appreciate most college football games, especially when it's great football being played (and even more so when my Jackets apparently do not show up for games like the one played on Saturday in Kansas, sigh). While watching the ticker for the other score updates, however, I noticed ESPN using some new-to-me acronyms. The first was FBS. Please forgive me football lords, but I know BCS vs. DI and DII etc. but FBS? That one was new. As was FCS. What do these mean?! I can't be a sporty-sport girl and not know what some of these seemingly common acronyms mean. A quick search on my BBerry later, and I land on Stilletto Sports: A Girl's Guide to College Football. How appropriate! * Within each division, there are conferences: ACC, SEC, Big East, etc. * FCS: Can't afford the bowls, so they do 16-game championship playoff instead. Includes Ivy League, Big South teams like Gardener-Webb and Coastal Carolina, and others. Even a football gal like myself can get confused with the structure and acronyms sometimes, so hopefully you find her info helpful, too. I feel better prepared for this weekend's upcoming games. Hopefully the Jackets do too, as there is really no excuse for not winning our way back into the Top 25 spot I think we deserve!